Definitions: For the purpose of this policy, “abusive behavior” includes, but is not limited to, the following types of conduct: Any type of harassment, including age, sexual, ethnic, or racial harassment. Making racial or ethnic slurs Making sexual overtures, making sexual flirtations, advances or propositions. Engaging in verbal abuse of a sexual, racial, or ethnic nature. Making graphic or degrading comments about an individual or his/her appearance. Displaying sexually suggestive objects or pictures. Engaging in offensive or abusive physical contact. Making false statements about any Credit Union employee, or member, or the Credit Union and its services, operations, policies, practices, or management. Using profane, abusive, intimidating, or threatening language towards Credit Union employees or fellow members, on Credit Union premises. Making, or suggesting threats of bodily harm or property damage to an employee or their family members, or to any member or their family members. Attempting to coerce or interfere with Credit Union employees in the performance of their duties, or coerce or interfere with members while they are conducting transactions with the Credit Union. Conducting, or attempting to conduct or engage in any fraudulent, dishonest, or deceptive activity of any kind with the Credit Union. The writing or posting of any material, on any Credit Union bulletin board(s) without written management authorization. Defacing, or removing notices or signs which were officially posted on the Credit Union premises. Appropriation, or misappropriation of Credit Union funds, property, or other material proprietary to the Credit Union. Immoral conduct or indecency on Credit Union premises. Deliberate or repeated violations of Credit Union security procedures or safety rules. Possession, use, or being under the influence of drugs or alcoholic substances while on Credit Union property. 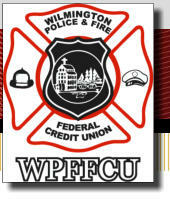 Fighting while on Credit Union Property. Possession of weapons of any kind on Credit Union premises, except for those members permitted to possess same by law. Internet, e-mail, website, homepage misuse or abuse, including sending threatening e-mails and any form of intimidation or threats through the internet. Hacking or using any of the electronic resources of the Credit Union in any way other than to do legitimate business with the Credit Union. Using the phone or e-mail system to threaten or harass any Credit Union employee or member or to perpetrate any fraud or crime. Since “abusive behavior” can vary with persons and settings over time, this list is illustrative and is not to be considered as limiting the definition of “Abusive Behavior”.